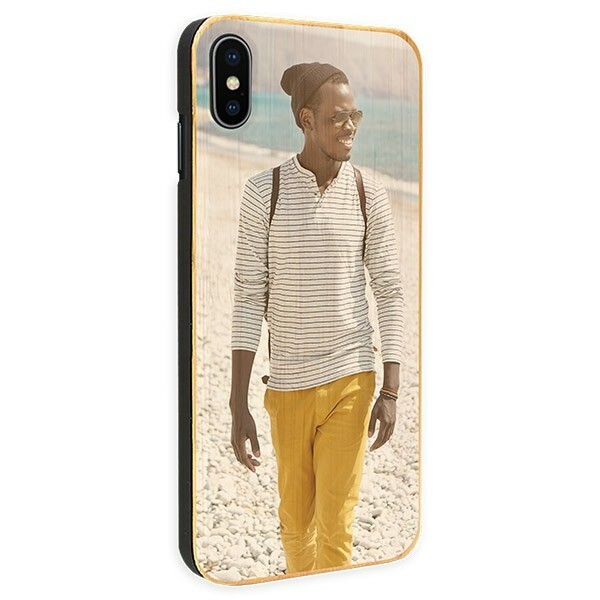 Create a truly unique custom iPhone Xs Max case using images and designs of your own. Provide your iPhone Xs Max with a natural feel but still excellent protection from scratches and bumps with a wooden case. Design your own iPhone Xs Max case today in just a few steps, it’s easy. 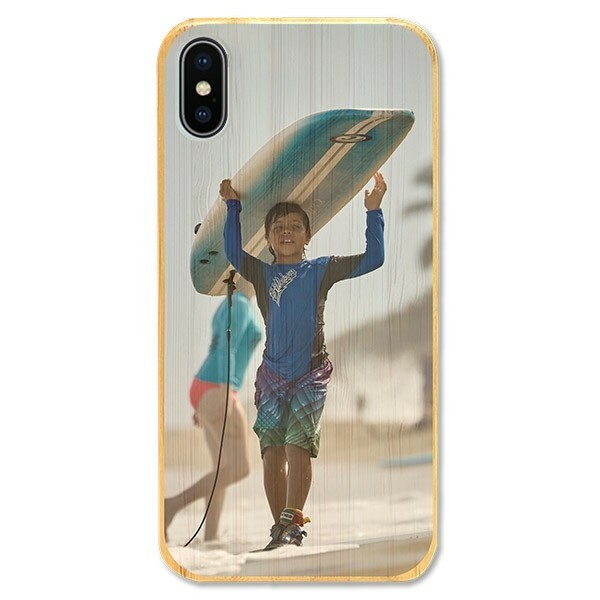 Protect that beautiful, big phone in style with a custom iPhone Xs Max case made from photos or designs that you like. No longer do you need to search around for a phone case that looks great and gives your phone enough protection. You can now design your own iPhone Xs Max case. A custom iPhone Xs Max case also makes for a great gift using images of a favorite sports team or photos of fun times with friends. 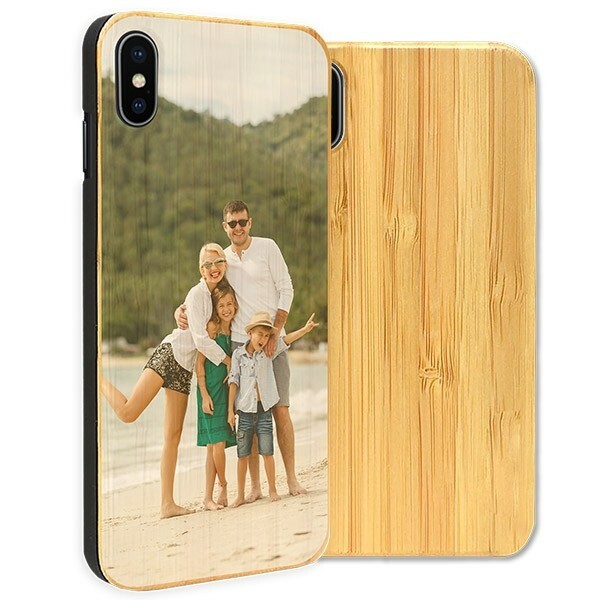 This custom wooden case offers the best of both worlds, the modern protection needed to keep your phone safe, mixed with the natural look and feel of bamboo. Start designing and order your iPhone Xs Max case today. With our user-friendly customizer, you can design your own phone case in only a few easy steps. You are the designer! Make a phone case with images of your pet or put your sketches on your phone case, the possibilities are limitless. Start by uploading your favorite pictures or designs from your laptop, phone or social media. For instance, you can upload a photo directly from Facebook or Instagram. Then make any image adjustments, add text or emojis, and finalize your order. Make sure to check your design thoroughly before submitting your order, to make sure it is exactly what you want. Start creating your one-of-a-kind custom iPhone Xs Max case right now. Now that you’ve done the fun part, it's our turn to get busy. Very soon after completing your order, our production team will get to work on it. Be sure to double check your shipping information so your personalized phone case doesn’t get sent to the wrong address. You might make someone else happy, but you won’t be. Your design will be printed in scratch-resistant ink with high-quality printers to ensure that it looks great and lasts for a long time. We’ll check your case for any mistakes before boxing it up and shipping it off to you. It’s quick, it’s easy, it’s quality. Order your iPhone Xs Max case before you damage your phone.